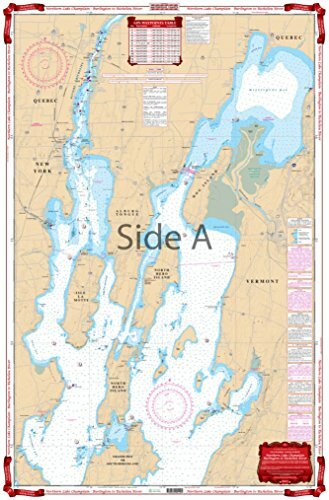 Waterproof Charts, Standard Navigation, 12 Northern Lake Champlain - Burlington to Richelieu River by Waterproof Charts at iShare Maps. MPN: 12. Hurry! Limited time offer. Offer valid only while supplies last. Starting at Willsboro and Shelburne Points coverage is north to and including Missisquoi Bay and the Rt 202 Bridge on the Richelieu River in Canada. Starting at Willsboro and Shelburne Points coverage is north to and including Missisquoi Bay and the Rt 202 Bridge on the Richelieu River in Canada. Includes Malletts Bay and all of the Champlain Islands. Information from 2 NOAA Charts 14782 and 14781. WGS84 / World Mercator Datum. 25" x 38"